Snezhanka is Bulgarian for Snow White and the Pamporovo ski resort is spread across the beautiful Snezhanka mountain. The perfect choice for a ski holiday for couples, groups and families. Self catered apartments along side hotel facilities as well as self catered ski in / ski out apartments with onsite bar and restaurant. 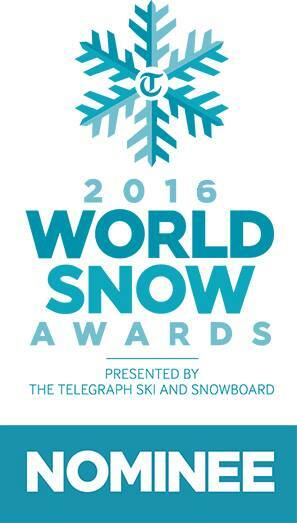 Nominated in the 2016 Daily Telegraph World Snow Awards in the Specialist Travel Agent Category, Snow White Skiing can now offer multiple accommodation options within Pamporovo, Borovets and Bansko. Snezhanka Apartments or the Panorama Apartments are our featured choices in Pamporovo but we also have other complex available to guests. If you are looking to rent a family friendly ski apartment in the Pamporovo ski area of , Bulgaria then look no further. We can offer you a one stop shop for all your holiday needs, with personal service and advice in all areas of planning your ski holiday. Half board, bed and breakfast, or self catered ! Bookings are now being taken for all complexes in the Pamporovo area along with the wrap around service of providing transfers, ski services and advice and help in all aspects of planning your holiday. Please see other accommodation listings. Ski down the slopes with us and discover some of the resort and the pistes on the beautiful Snezhanka mountain.